I had a near-post-apocalyptic experience during my sophomore year of college. I emerged from a long nap (*I miss college*) to find that my dorm was completely empty. I called my parents, my siblings, my grandmother… no one answered (this was 2000, before the days of cell phone ubiquity.) I began leaving panicked answering machine messages. My sister eventually called to tell me that I was not, in fact, the sole survivor of nuclear holocaust or humanity-ending plague… just the only one not watching the Super Bowl. Not watching the Super Bowl has become my tradition. The rest of the world goes dark and I… bake (or work, as I had to do this weekend, excepting the few hours I stole to start my Valentine’s cookies.) I made a lot of headway on my work, even if I did not make much headway on the cookies. I did have a few breakthroughs: I made chocolate sugar cookies for the first time and also started working up a new lace design (my work project is pretty intense and I needed an equally intense baking project to focus my stress.) 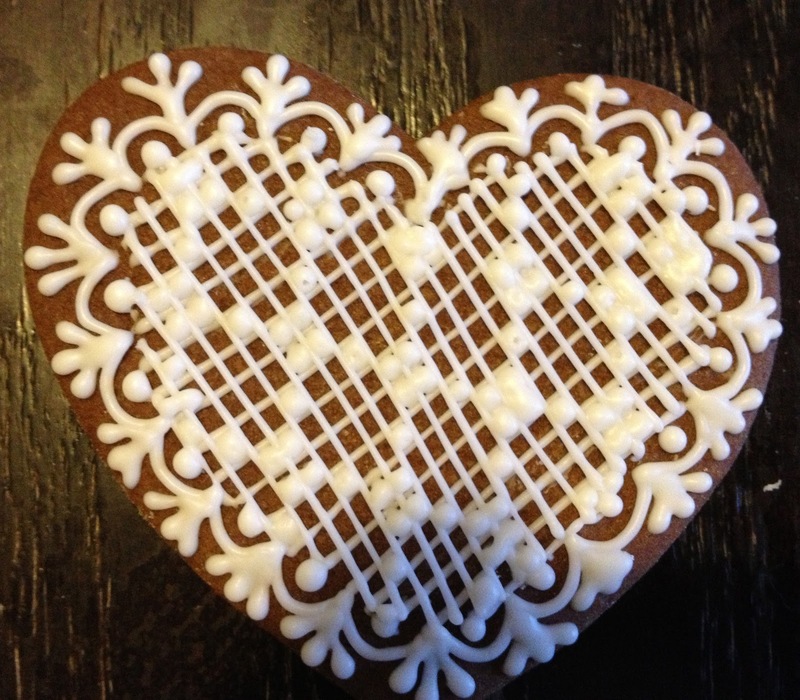 I am still perfecting both the recipe and the lace technique, but I believe they will be Nate-ready by Valentine’s Day.